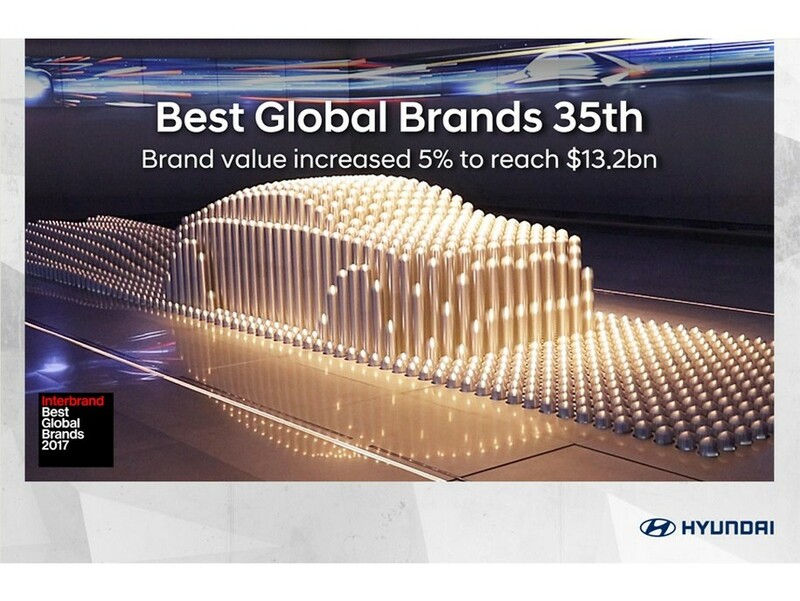 Hyundai Motor has maintained its position in the top 40 global brands for the third year in a row, according to the latest rankings published by global brand specialists Interbrand. 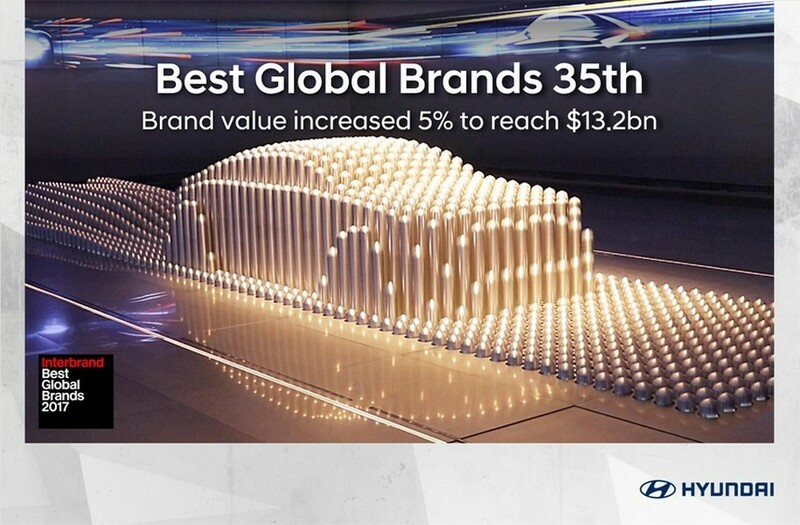 Hyundai Motor retained its place as the world’s 35th most valuable brand despite challenging conditions in many global markets, with its brand value growing to US $13.2 billion - a 5.1% increase on the previous year. Hyundai Motor sold 4.86 million units globally and maintains sixth position in the global automotive rankings, above Audi, Nissan, Volkswagen, and Porsche. This follows a period of exponential growth for South Korea’s leading automotive manufacturer that has seen a four-fold increase in brand value since 2005, increasing from US $3.5 billion to its current record value. 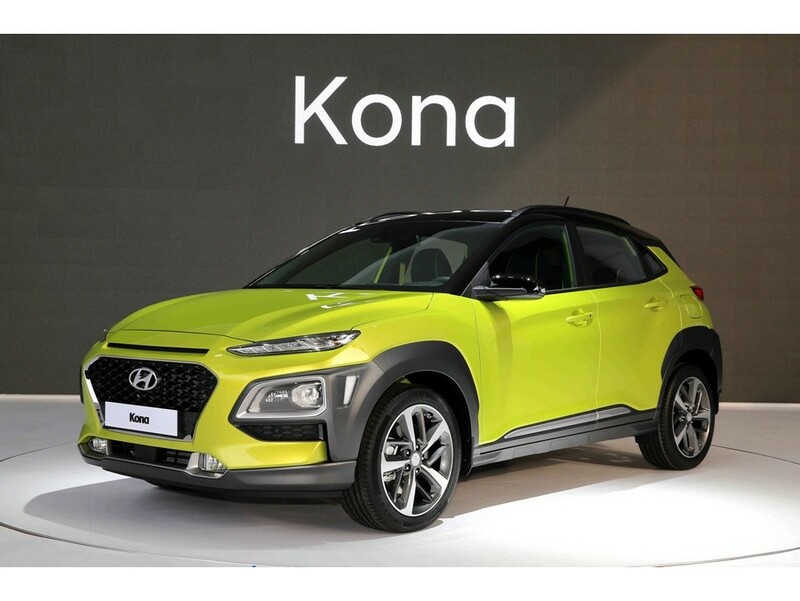 In addition to maintaining its reputation for the highest quality in major markets, Hyundai Motor also strengthened its global product portfolio launching the new Kona compact SUV. Marketed under the slogan ‘The new Species’, the new model received more than 10,000 pre-orders in the first month after launching in the domestic market, highlighting the potential for success in this fast-growing segment. Hyundai Motor also launched i30N, the first model of its high-performance N lineup. The new car draws on Hyundai Motor’s involvement in motorsport, in addition to demonstrating its desire to put thrilling driver experiences at the heart of new car development. This has also been a significant year for outlining the future direction of Hyundai Motor. The brand set out its blueprint to move into new automotive spaces, which incorporates the launch of 15 eco-friendly vehicles by 2020, including the IONIQ Electric and upcoming fuel cell electric vehicle. The brand is also advancing its research into affordable autonomous driving and connectivity technologies, through its future-focused Project IONIQ and open-innovation collaborations with external parties. Hyundai Motor continues to grow its brand identity through unique customer experiences around the world, including its long-term sponsorship of major art installations at the Tate Modern (London), and the Los Angeles County Museum of Art (LACMA). 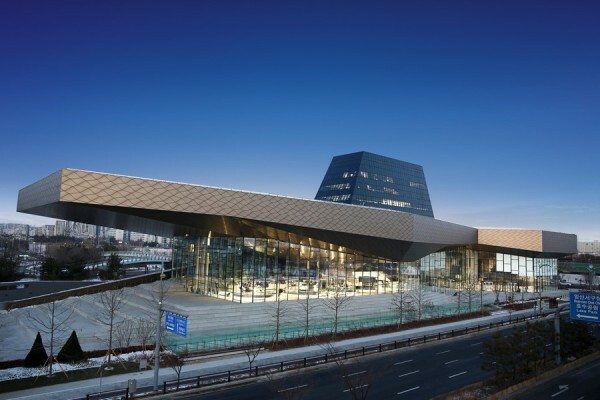 Hyundai Motor also opened its largest Hyundai Motorstudio in Goyang, South Korea, delivering an interactive brand experience that allows direct communication with customers about innovative themes and future technologies. Hyundai Motor has also conveyed its Modern Premium brand philosophy through a series of high-profile global brand marketing campaigns. ‘A Better Super Bowl’ campaign was filmed during the NFL season finale and allowed military service members to watch the game with their beloved family using satellite technology and 360-degree immersive pods. It attracted more than 41 million views and received phenomenal reviews for its creativity and storytelling. 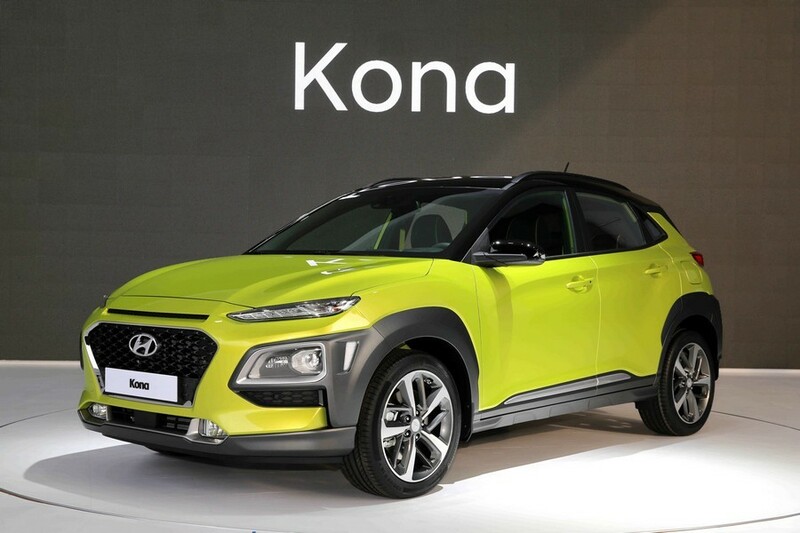 Also delivering the Hyundai Motor brand to global audiences was ‘Shackleton’s Return’, a campaign following the grandson of legendary polar explorer Sir Ernest Shackleton, as he explored Antarctica with a standard 2.2-litre diesel Santa Fe. Within two months of launching, the campaign exceeded 140 million views on YouTube, the highest number of views for an automotive campaign.